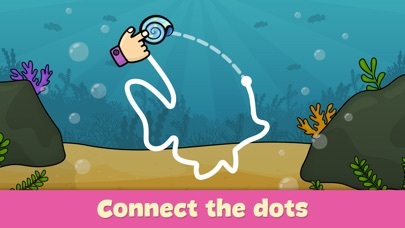 Creative and educational game for children that will help your child spend time with an electronic device effectively. Let your kid feel like a real artist and develop logic skills at the same time. 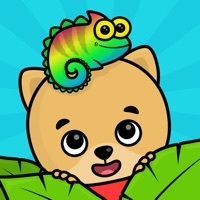 The app includes coloring which is friendly to the youngest and puzzle solving tasks with educational element. 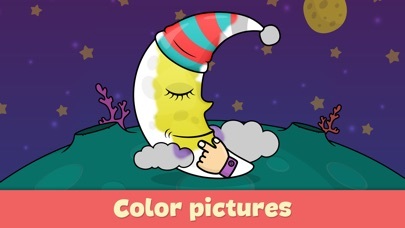 Also, the app contains pictures on different topics which will entertain your child with fascinating sounds and funny characters. 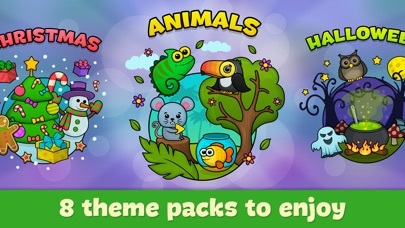 The following is waiting for you: - 8 topic packs with 96 puzzles; - Easy coloring for children; - Educational puzzles; - Cute animation in the end of each task. The app is designed for children of preschool age and also suitable for boys and girls 2- 5 years old. All the activities were developed with participation of experts in the field of children education and include such educational elements as developing of fine motor skills and logic. Have fun! Thanks. Toddler entertainment for hours. Had to spend 7.99 to keep my granddaughter happy. You guys got me by the .... you win. The app keeps stopping, so I frequently have to restart for my toddler. But she loves playing with it. My child absolutely loves this app. I let him play it while I’m trying to do dishes or cook dinner. However, he keeps pressing the “For Parents” icon while navigating the app. He will keep pressing the numbers on the “parental lock” until he gets it right (by chance.) I can’t get anything done for more than 30 seconds to 2 minutes (at most) at a time till he cries in frustration. I bought all the puzzles, some apps turn off advertisements when you purchase something. Maybe offer that so I can get some work done? My toddler LOVES this app! He’s 4 years old. My toddler enjoys the puzzles ! Tried contacting through "app support" only to be directed to the website, where I tried the contact form but it kept saying my message couldn't be sent so I'm reaching out here in hopes I can get a solution. My 2 year old loves the puzzle game and I've been trying to purchase the full version for 2 days but the game gets stuck on "loading" right after the parent check (the math problem). Anything I can do to solve this and finally get all the puzzles? Thanks for the help training my son for the real world! Is there a way to reset and start over? Not being able to move on without buying another app, after playing the first round, tells me no thank you. My grandson is 2 1/2 and he lives playing this game with me. Good fun. Lives to repeat the sounds made on the Halloween game. Paid for the full version of the game and 1 week later I had to purchase again. I reached out to customer service and they said sorry we can’t do anything about it. This app is great however it really needs to have multi touch capability to work for the age group. Toddlers don’t know that they can't put multiple fingers on the screen at the same time, so that means the app needs to accommodate for that. 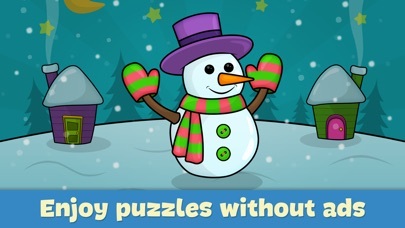 Great puzzle games for one-year olds!!! My son absolutely loves this game! It keeps him busy. It makes him think. teach my nieces from home and they love tracing their letters and learning the basics, like this app because it's fun yet serious. 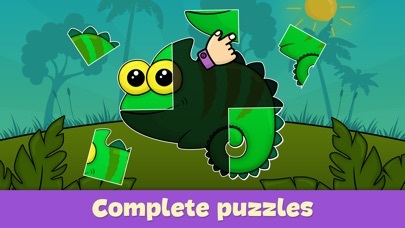 I love doing puzzles and this application has many that my kids can put together by themselves. They love it!! !